The USA Dance Royal Palm Chapter, under the leadership of Patti MacDonald, President and Competition Organizer, has announced and posted the Competition Results for the Chapter’s very successful annual all-amateur Competition that was held at Goldcoast Ballroom on April 13, 2013!! The full Competition Results, with Judges Scores for each event in the Competition, are posted on the USA Dance Royal Palm Chapter’s website. Congratulations to each of the winning couples!!! The USA Dance, Royal Palm Chapter has also posted a Gallery of Photos from the 2013 Competition on its website. Check them out!! 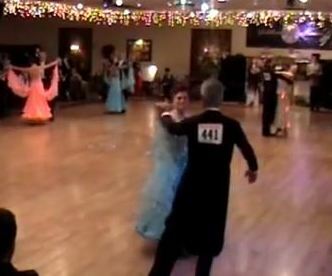 Be sure to mark your calendars for January 25, 2014 — The USA Dance Royal Palm Chapter has announced that it will hold its Next Annual Royal Palm Competition on January 25, 2014 at Goldcoast Ballroom! « Quickstep with Paolo & Liene Di Lorenzo – Thursday Nights, July 11, 18 and 25!